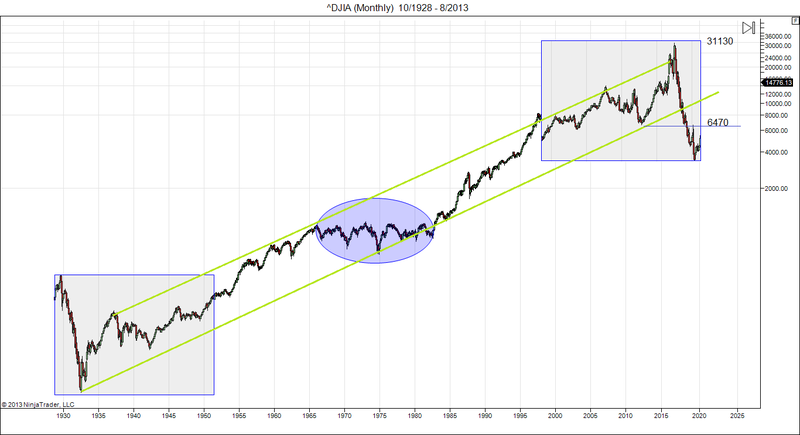 This entry was posted on August 30, 2013 at 2:25 pm	and is filed under Market Commentary. 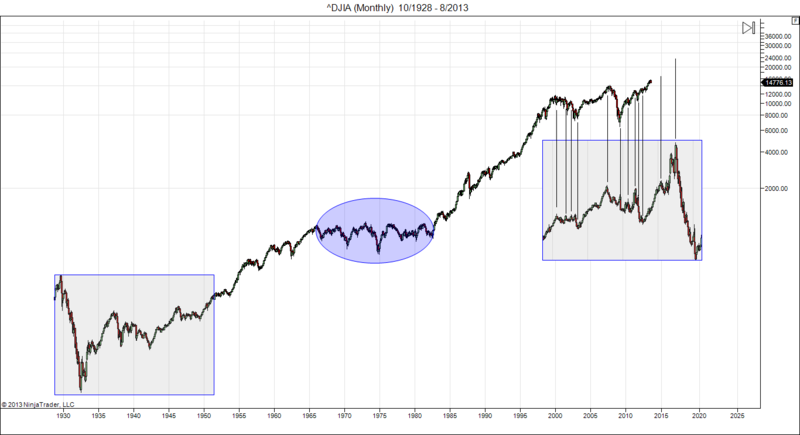 Tagged: 2016, Dow 32000, Dow Jones Industrial Average, long term. You can follow any responses to this entry through the RSS 2.0 feed. You can leave a response, or trackback from your own site. Hi Gaylord. The engineer in me wonders as well. Fact is that “self-similarity” and fractals are known phenomena in nature. If it goes up for three more years then the symmetry will be perfect. The main problem is that markets and “perfect” rarely go together. Aka: when it looks too good to be true, then it usually is.. But we will see of course. Great post.New ideas.And they all said Gallileo was wrong. 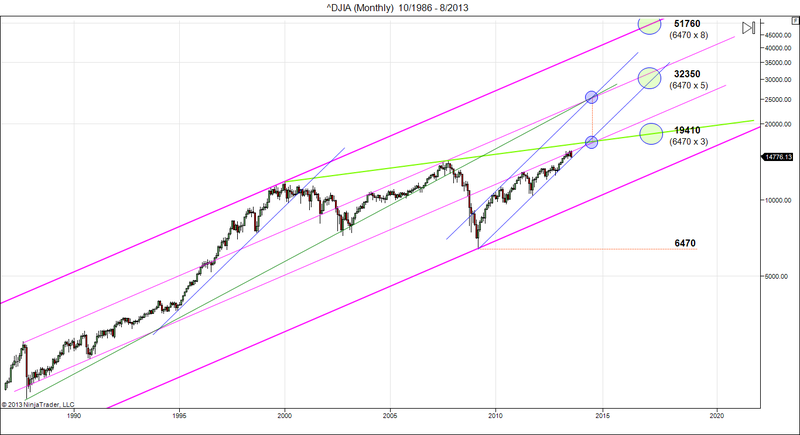 Danny, for it’s worth, a guy by the name of Martin Armstrong believes the Dow will double by the 3rd quarter of 2015. He expects the increase to be similar to what Japan experienced from 1988 to 1990 when the Nikkei doubled in two years. Link to his blog is http://armstrongeconomics.com/armstrong_economics_blog/. Yes, I know about him. I think 2015 will be a bit quick to get to 30000. But we will see of course. We still have the ongoing situation where cash and bonds are being made completely unattractive by ultra low interest rates. So when somebody sells his stocks, where is he supposed to put the money? That’s why volume in the markets is low: not many sellers. You have mentioned that August and September are metal month this year, so the stock markets are down, how about Gold and silver for this two months ? Gold and silver have a history of bottoming in “Earth” months, which was June-July of this year. See our sister blog at http://fourpillarsfinance.wordpress.com/ for more details on that method. Thank you. We have reached 114, now pulling back, so we may be going for 140 in sept ? The 115 level has offered strong resistance since April, with several touches. As long as the XAU doesn’t get above that level it cannot go to 140. I think September is too early. Let’s first see how gold digests its recent gains, and whether it can climb into bull status on the basis of my key reversal levels. When that step is take then 140 becomes feasible. So, I would say next year rather than next month.. This is very interesting symmetry. 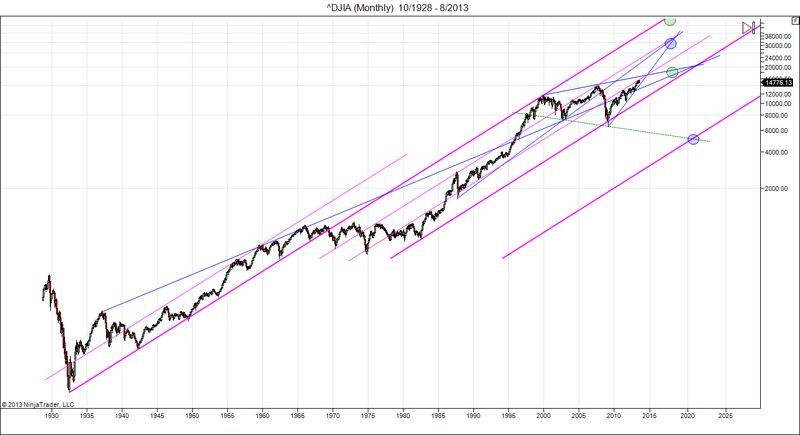 If your right and we begin a brutal bear market that drops below the 2009 lows, most of America will be broke! NOBODY believes this is a possibility which is usually when it happens. It’s like 2007/2008 all over again but much, much, much worse. 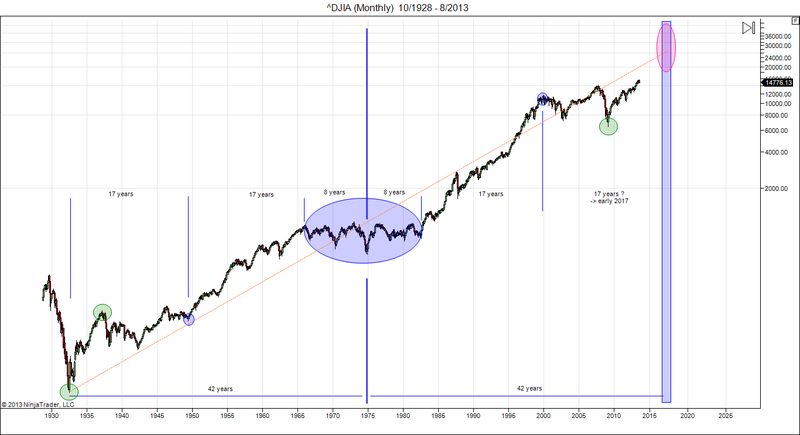 We will see what happens after this time symmetry ends. I will post an update to the charts and review possible scenarios in my next weekend post.